Going on a weekday early in the morning or during night hours is the best way to avoid crowds. If one wishes to avoid paying admission, the first Saturday of every month is free for all visitors and open late. The Louvre has many collections and it would be difficult to see everything even after spending a full day there. Two to three visits may be required in order to view and fully appreciate all of the art displayed. 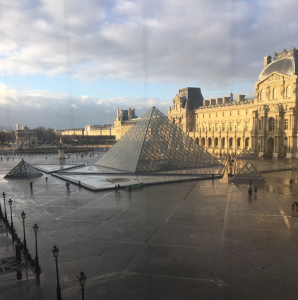 Well the Louvre certainly is a must see, there are many other smaller, lesser known museums worth visiting. Many of these will have exhibits for a limited time, so research will be important in figuring out which ones are available and of interest to you. Across the Tuileries Gardens from the Louvre the Jeu de Paume. The Jeu de Paume is one option that brings in many impressive photography and contemporary art exhibits. 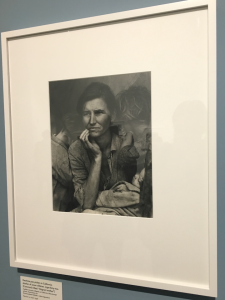 Recently they housed the works of Dorothea Lange, an American photographer famous for her photos of the Great Depression. Admission is ten euros but students can enter for a reduced price of seven euros. If you’re still wanting to see more, Musée de l’Orangerie is a five-minute walk from Jeu de Paume. Monet’s famous water lilies are kept here along with many other remarkable works from Matisee, Picasso, and Renoir. Entry is free with proof of living in the EU for more than three months, so make sure to bring your student ID. For lovers of military history and history in general the Musée de l’Armée is worth the visit. 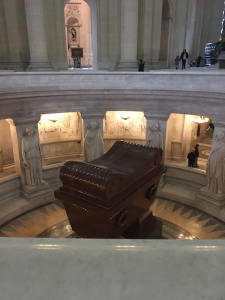 This is the site of Napoleon’s tomb under the Dôme des Invalides. Seeing a tomb does not seem like the most exciting thing, but the architecture and decor of the building is stunning. There are also many old relics from the 19th-century during Napoleon’s reign. There are also items from both World Wars. The 3rd biggest collection of old weapons and armor is within the various themed rooms. Students can enter for free if they show their visa; just a picture will suffice. The sheer volume of museums in Paris could keep a person busy for days. Conducting research prior to arriving is important but going into an exhibit blind could lead to an exciting surprise. Museums are perfect for a cold or rainy day when you still want to go out and see something. 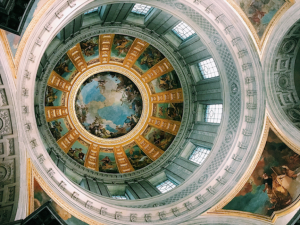 Being a student allows for free or discounted admission, so take advantage and go out and explore all the city has to offer in art. Salam is a spring 2019 SAI Paris student from the University of South Carolina.